A Pianist’s Guide to Musical Interpretation by Deborah Rambo Sinn. 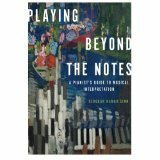 Playing Beyond the Notes: A Pianist’s Guide to Musical Interpretation demystifies the vague and complex concept of musical interpretation in Western tonal piano music by boiling it down to basic principles in an accessible writing style. Its intended audience is performing pianists, independent piano teachers, and piano pedagogy students, and the over 200 repertoire excerpts in the book cover the intermediate to advanced piano literature. Rather than dealing with issues pertaining to performance practice, specific composers, or genres, this book focuses solely on musical interpretation. 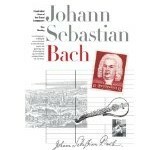 Each chapter tackles a different interpretive principle, explaining clearly, for example, how to play effective ornaments and rubatos or how to understand transitional sections of pieces. The author supplies a helpful checklist of questions at the end of each chapter. The book aims to help pianists understand concrete ways to apply interpretive concepts to their own playing and to give teachers practical ways to teach interpretation to their students. 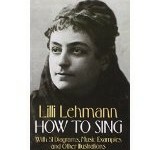 The book is supplemented by a companion website that hosts over 100 audio recordings to enhance the reader’s experience.